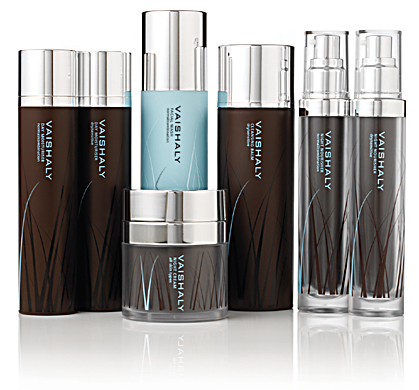 The treatments in her Marylebone salon have a waiting list of three months, but you can give yourself a mini-Vaishaly facial at home with the collection of 7 products. Her simple philosophy is that you don't need a lot of products to achieve perfect skin and so with a focus on pure, natural ingredients and a straightforward regime, the small range includes two cleansers, two day moisturisers and three night moisturisers. I was sent the Night Nourisher (£75) to try and it certainly does the trick combating winter skin. The rich treatment gently hydrates any dryness and the light sheen leaves your skin feeling protected. The organic ingredients include bergamot, lemon, mandarin orange, grapefruit, this is making me hungry, geranium, orange, petitgrain and coriander. I would suggest the Night Nourisher for normal/ combination skin for those who are prone to breakouts as it's a lighter, more absorbant oil than the dry/ sensitive skin product. The fragrant essential oils make it a pleasure to massage in for soft, supple and plump skin. You've got to give it a go.